“I will never go anywhere else. I have to come from Eastbourne but it is so worth it. Gone are the stressful days and sleepless nights leading up to an appointment, they said pain free and it was totally pain free, l had drilling, old fillings out, white ones in, extensive cleaning on extremely sensitive teeth and gums, hours and hours of work, a bridge and crowns, plus whitening. “I was (still am a bit) a very nervous patient and I used to sit in reception dreading what’s going to happen to me with white knuckles and panicking but now I’m quite at ease. 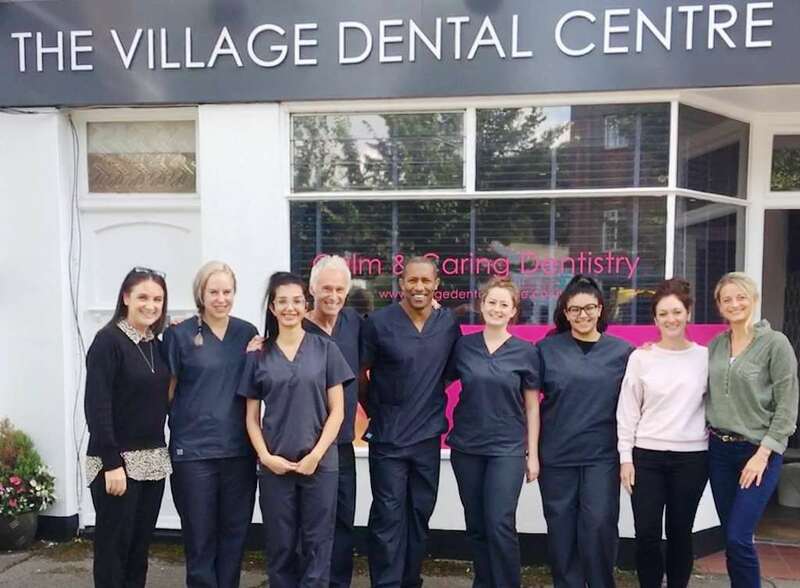 Shane, I just wanted to say a huge thank you to you and the team at Village Dental Centre. As you know, I have had a fear of having dental work done since I was a child and yet the sessions with you have gone a long way to helping me overcome my phobia. It look a lot for me to pick up the phone to your practice earlier this year and now I am so glad I did. Although the sedation certainly helped me relax, it was more the way you and your team talked to me and reassured me during the sessions that really made the difference. Even your waiting room is more relaxed and friendly than any other dentists I’ve been to before. I read a recent article ( http://www.bbc.co.uk/news/uk-34933598 ) which says that sedation doesn’t cure a person of dental phobia, it’s more about good communication with your dentist. I totally agree, and hope the next time I have work done I won’t need the sedation at all. If it’s OK with you I’d like to arrange our follow up appointment for early in the New Year so we can discuss what the next steps (and costs!) will be to improve my smile. Please pass on my heartfelt thanks to everyone at the Village Dental Centre. Just One Of the Many Reasons Why Janet Chose Implants Instead of “Depressing Dentures.” Want To Find Out More Reasons? When Nigel first suggested the denture, I was really upset. And quite depressed because I thought it a very invasive thing in my mouth and actually the reality of it, it was alright but it was just cumbersome. And awkward. I was conscious of it while speaking and eating and I just hated the whole thing of having to take this thing out at night. In reality it was not a pleasant experience at all. But Nigel was very supportive about the whole thing about my decision to get rid of it. I really didn’t like it. If I had to wear something like that from now on… I wouldn’t have like it because it was quite a big denture. Infact it was 4 teeth on the upper pallet. So it’s cumbersome and food gets stuck in it. And on top of that I was very aware that my speech wasn’t as clear as it might have been. Plus smiling was an issue as well. —and the depressing part was, I can remember coming out and going home and saying (I just feel so old that I’m going to have to have that kind of procedure and I was hoping that, well Nigel had suggested implants) and I thought I would have to go down that road eventually. But we had to do the dentures to start with but it made me realise that I didn’t want that. I really didn’t want that. I think my implants were in for about 10 to 12 weeks… so when I came back in January and Nigel fitted the finished product- I was just delighted. It just felt so different. It took a bit of adjusting but I got used to it. And that’s just the beginning. It looked so different and my mouth felt different and I felt more confident about eating and smiling and all that kind of thing. Nigel made some adjustments and I’m really happy about it. I can eat things like normal. I’ve got no issues and socially I feel a lot more confident. I’ve got my confidence back again. Because a denture is not fixed, you’re always cautious that it might be moving about. And the longer I wore the denture— the looser it became. That became more of an issue but now I don’t think about it. I’m looking after the implants and it’s just made such a difference to me, I don’t regret it at all and if you’re in that position, I would say go for it, because it wasn’t painful. It wasn’t invasive after the initial procedure and there was obviously a little discomfort but only anything you would expect, no swelling of my face, it wasn’t painful . And as the final implants were put in it was just fantastic. I would recommend this treatment because for me I was just very depressed and fed up about this whole denture thing. But now I feel much happier about the way that I am and I can just be confident about speaking, eating and just being with people really. I was very conscious of the denture. Finally, I’m back on top form again and I’m very pleased that Nigel recommended implants, he talked me through it so I knew exactly what was happening at each stage and that’s really helpful too. Retired Teacher Janet from Preston Park, Brighton. Chris from Eastbourne who works for the NHS. Chris had a terrible phobia of dentists and it had actually been 20 years since his last check up. 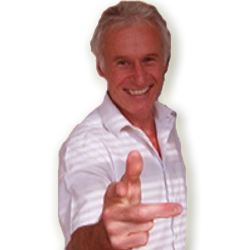 Chris has now undertaken a number of treatments, pain free and is much happier with his smile. I am so much more confident, and it has made me much happier in myself. I’m just always smiling now. Patrick Flood who is retired and from Newhaven, Sussex was so terrified of the dentist that he used to cross over the road to avoid even walking past a dental practice. Since coming to see Nigel at the Village Dental Centre, Pat has managed to overcome his fears. Karen Grant is a Psychotherapist and Lecturer from Patcham, Brighton, she had an extreme dental phobia before coming to see Nigel at The Village Dental Centre. Karen was unhappy with her smile before coming to see Nigel, and has since managed to conquer her fears, and have some comprehensive dental treatment, including dental implants. —Mrs Edna Meads, 85. Withdean, Brighton. Margaret Pusey from Lancing, Sussex who works at Asda has been coming to see Nigel for 25-30 years, she has a dental phobia so always opts to have any treatment under sedation / sleep dentistry. Margaret says that her teeth are in good shape because without sedation, she doesn’t feel like she could manage to have dental treatment done. —Ms S Withers, 42, Brighton. Catherine Hunt a Special Needs Teacher from Portslade, Sussex was terrified of the dentist before coming to The Village Dental Centre. Catherine needed to have a tooth removed, so opted to have this treatment carried out under sedation. Tracy Southon works as Cabin Crew for British Airways and lives in Patcham, Brighton. Tracy was nervous of dental treatment, but wanted some cosmetic work carried out. Tracy had her treatment under sedation. Pam Moreton is retired and lives at Preston Park in Brighton. Pam used to be so nervous of dental treatment before coming to see Nigel at The Village Dental Centre but has managed to overcome her fears because Nigel is so gentle. Chris Goring works in the travel industry and lives in Patcham, Brighton. Chris wanted treatment to improve the appearance of his smile, and opted to have his work carried out under sedation / sleep dentistry because he was nervous of dental treatment. Chris highly recommends this way of having work done. Mum says: You have never had an injection before have you? Daughter replies: No, am I about to have one? Mum said: You just have.